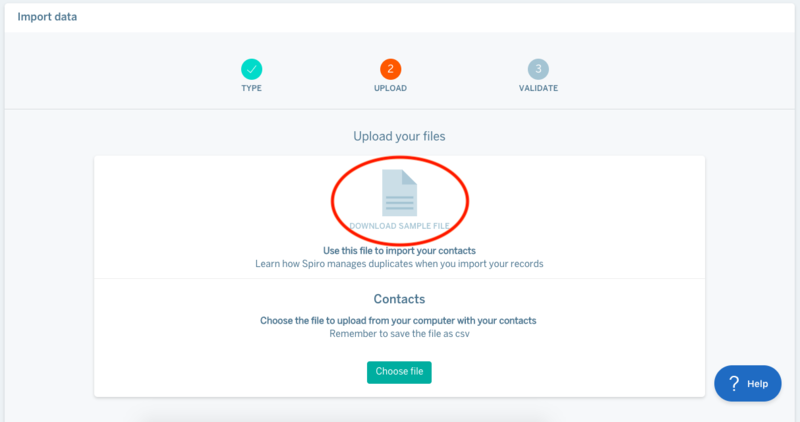 You can mass import opportunities with companies, opportunities with contacts or a list of companies/contacts to Spiro under settings > Import your data. and download the correct sample file. After you fill in your data, save the file as a CSV and choose the file for import in Spiro. Download the correct sample file. After you fill in your data, save the file as a CSV and choose the file for import in Spiro. All phone numbers are required to have a country code in the number. For example, all US based numbers must be formatted to: +16175555555 and any EXT's must be separated from the number and stored in another field. You can use the User ID to assign the owner of a company/contact/opportunity in Spiro. Admins can view User ID's under settings > User Administration. Spiro will know if a contact or company already exists. This is done by comparing the contact email address, company name, and domain name. If you import a contact or company that already exists, any matching properties will not be updated with the latest data from your import. If you want to overwrite data that exists in Spiro, please contact your CSM and send them a file with the records IDs and columns that you would like to update.